يقع Holiday Inn Potts Point في قلب ضاحية بوتس بوينت التاريخية بجوار محطة قطارات كينجز كروس، ويوفـر مجموعة من الغرف الواسعة المزودة بتلفزيون مع قنوات الكابل وتكييف واختيار من بين الوسائد الناعمة أو الصلبة. تحتوي كل غرفة على ثلاجة صغيرة وحمام داخلي كبير مزود بحوض استحمام ورأس دش ثنائية الضغط، كما يمكـن للضيوف الاستمتاع بإطلالات على ميناء سيدني أو إطلالة على ضاحية بوتس بوينت من غرفهم الخاصة. يتم تقديم الأطباق اللذيذة المستوحاة من المطبخ المغربي في مطعم Sirocco الذي يفتح أبوابه يوميـًا لتناول وجبات الإفطار والغداء والعشاء، كما يمكن للضيوف استكشاف بعض أفضل بارات ومقاهي ومطاعم مدينة سيدني على بُعد بضع دقائق من المنشأة. 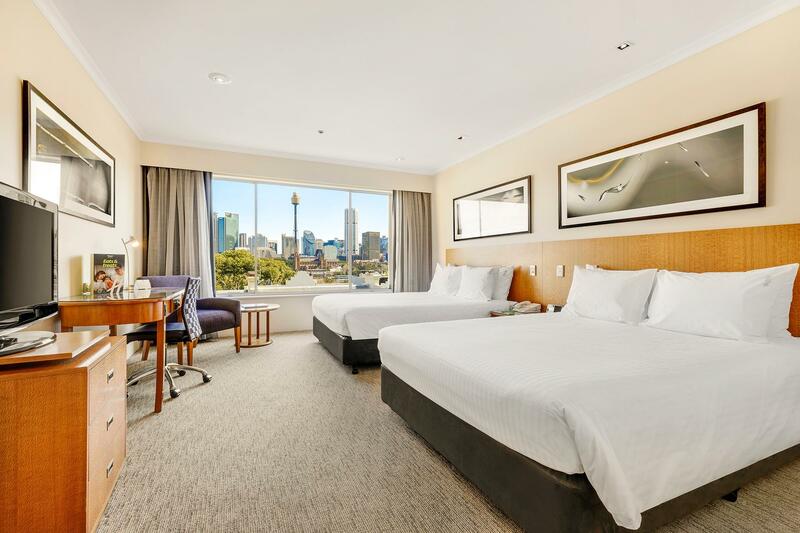 يعـمل مكتب الاستقبال على مدار الساعة، ويُعد Holiday Inn Potts Point موقعـًا مثاليـًا لاستكشاف كل من بادينغتون ودارلينغهيرست وشارع أكسفورد، كما يبعُد مسافـة 15 دقيقة فقط بالسيارة عن كل من مطار سيدني وشمال سيدني وشاطئ بوندي. يمكن للضيوف أيضـًا الاستمتاع بالسيـر على الأقدام خلال الحدائق النباتية الملكية للوصول إلى دار أوبرا سيدني التي تقع على بُعد كيلومترين فقط، كما يبعُد وسط مدينة سيدني مسافـة محطة قطـار واحدة فقط، بينمـا تبعُد منطقة بوندي جانكشن مسافـة محطتي قطـار فقط. يُرجى العلم أنه يتعين حجز مبلغ من البطاقة الائتمانية قدره 50 دولارًا أستراليًا في الليلة عند تسجيل الوصول كمبلغ تأميني لتغطية أية رسوم عرضية. وفي حالة عدم توافر بطاقة ائتمانية، يمكن دفع مبلغ تأميني نقدي قابل للاسترداد. ويكون السند النقدي بقيمة 200 دولار أسترالي، وهو قابل للاسترداد عند تسجيل الخروج بعد خصم أية رسوم عرضية. يُرجى الملاحظة أنه يتم تطبيق تكلفة إضافية بنسبة 1.5% عند الدفع ببطاقة الائتمان. يُرجى ملاحظة أنه قد تُطبق سياسات مختلفة ورسوم إضافية على النزلاء الإضافيين بخصوص الأسعار التي تشمل وجبة الإفطار. يُرجى ملاحظة أنه يتعين إبراز تفويض مسبق لبطاقة الائتمان لدى تسجيل الوصول للقيمة الإجمالية لمكان الإقامة، إضافةً إلى دفع تأمين بقيمة 50 دولار أسترالي لليلة الواحدة لأي رسوم طارئة. وإذا لم تُوجد بطاقة ائتمان، فيمكن دفع القيمة الإجمالية لمكان الإقامة نقدًا، إضافةً إلى سند بقيمة 200 دولار أسترالي قابلة للاسترداد كتأمين لأي رسوم طارئة. سيتم استرداد هذه الوديعة عند تسجيل المغادرة، بعد اقتطاع أي رسوم طارئة. 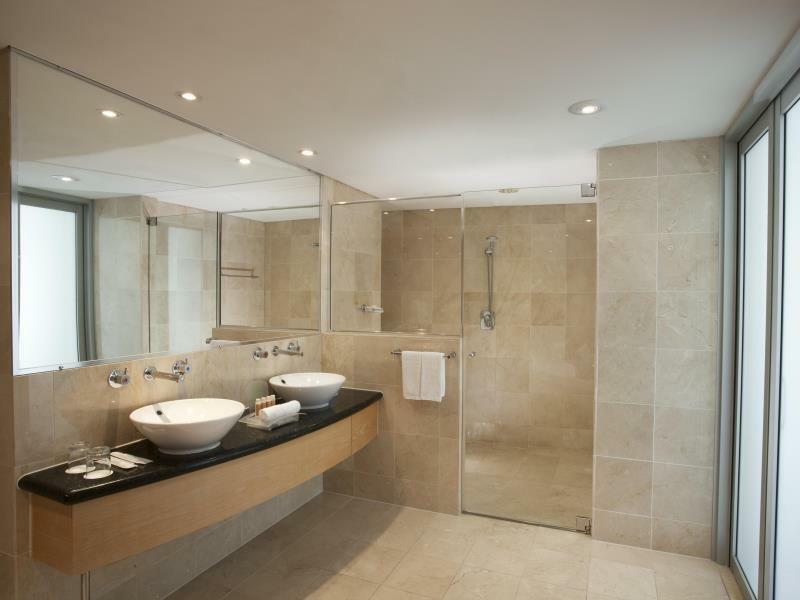 I chose the Holiday Inn Potts Point as it was central to the cafes, restaurants and activities we had planned. Unfortunately the room pictures on Agoda did not match the room type (I thought we had booked a much larger suite), however the hotel staff were amazing and made up for this with exceptional service, a much appreciated gift of drinks sent to our room, and breakfast added daily. The room was on the 7th floor and had spectacular views of the city, opera house and harbour bridge. The king bed was super comfortable, giving us a great sleep every night. Buffet breakfast was of a high standard, though when busy there is a bit of a wait for the tables to be cleared so that we can be seated. Room service was amazing. We had more dining in our room than in the restaurant. Great menu till 11pm, but still a very good selection after. The train station is directly across from the hotel and makes getting into town a breeze (1 stop away). Very good location. Kings Cross station is just few steps away. Friendly staff. Rooms are old it needs renovation. Air conditioning needs to improve as well. Overall it was a good stay at Holiday Inn Potts Point. We arrived for a week's stay over the new year period and it was understandable that it was the busiest time of year for the hotel. We were celebrating our honeymoon and notwithstanding the refusal of a room with a view of the harbour we still had a whale of a time in Sydney. The staff overall were very friendly and helpful forgetting that on the last day a receptionist (didn't get his name) literally made us take the shuttle bus even though it was very early for us to drive to the airport. It felt like he wanted to get rid of us there and then. Special mention goes to breakfast which was in our opinion exceptional, in line with 5 star hotels. Location is also great, very close to all landmarks Sydney has to offer. Rooms are a bit outdated as the hotel needs a major maintenance but overall very clean. It was not cheap but considering the time of the year we chose to visit it is understandable. Overall, we would recommend this hotel but try to book outside pick season. Holiday Inn is a very good hotel. It well located right in the heart of Kingscross, away from the CBD but still close enough. It's walking distance from all the restaurants in Wolloomoolloo and all the funky restaurants on Victoria street in Potts Point. The room I had on the 3rd level is a bit ran down, it looks old and it is old. The water in the shower is leaking on the side. The staff were easy to deal with and I had a great view of the streets of Kingscross from my room at level 7. Location is great as it is not necessarily that close to the noise but it's close enough to the action. Very close to busses and the train station and more importantly the eateries. The location is on a neighborhood that has character and is so diverse, some remaining seediness of its past history (its part of the experience diversity and homelessness of some people there, though not at all scary), the backpacker crowd (these were us in some past history) and many medium and high end residential places and restaurants reflective of its future and Sydney's vibrant culture. The hotel is not new but everything at least in our room worked and worked well. The carpet showed age but its forgiveable, its age is showing but it was acceptable. The front desk staff were courteous and extremely helpful. Case in point - when we got to our cruise ship, my wife discovered she left her iPhone 6 at the hotel. We called them and after contacting Housekeeping who in turn helpfully confirmed they found it sent it to the front desk. We talked to Jared Tan (thank you Sir) who arranged for a taxi to bring the phone to the cruise ship. Well, I am not sure a lot of other hotels would have gone the extra mile to help us retrieve the unit. This was so typical of the hotel's staff. And when you want to go on the subway (Sydney has an excellent network), turn left as you exit into the street and there are two entrances/exits right there. What more could you ask? Great location, away from the main CBD of Sydney but close enough via a short train ride. Located right next to the Kingscross Station and shopping, Cafes and Restaurants. Just beside the traun station. Location is so convenient. Staff are so accommodating and very nice. Rooms are clean. It is a very old hotel with bad housekeeping. I was staying 4 nights and splited in twice checked in as gone to Gold Coast in middle. First two nights I got slippers but another two nights not provided. No tea bags refill and also no complimentary bottle water for my whole stay. As a IHG members hotel, I think this Holiday Inn is the most worst one where I've been stayed. Not recommended unless you like their great location but I think you can find a better one as the same rate. It is not a cheap hotel, the room rate has big difference so I have paid 40% more eventually. Their breakfast also disappointed. The property is OK, well located to public transport and to Wooloomooloo and nearby parks. Close to the cafes, bars and other attractions of Kings Cross if you are into that sort of thing, supermarket across the road. Staff nice and friendly, but did not seem terribly engaged. Rooms a bit grubby and clapped out - phones didn't work properly, bathroom pretty ordinary. Had the feel of a Motel - again, good location, friendly staff, but overpriced for what was on offer within. We had a wonderful view from our room. Not all rooms have good views though. Did not eat in restaurant during our stay. Train station is twenty steps from front entrance. We used train and bus to get around. Hotel is on a busy street, but not noisy at night. Also, many cafes and restaurants within easy walking of hotel. Location is out of the way south of CBD. Lower costs for room and food there. A little far from the main city; but trams are there to make travelling easy. Hotel is clean and staff are friendly and acoomodating. Only down point is there is no swimming pool and a very run down gym. Facilities and amenities needs to be improved! We got the most fantastic view (Sydney Tower, Darling Harbour, Sydney Opera House all in one window) out of all the hotel we were staying. The staff, Dylan was really nice and helpful. Very recommended!! Almost perfect location ~ next to train station, entertainment outlets/shops...etc makes the stay acceptable. Good breakfast but after being at the same place for nearly 10days, it was only natural that the buffet excitement gradually dips. Most hotel crew provides good services and are approachable, except for some noticeable few. Hotel is not new but well maintained. Room is spacious. Acceptable stay as long as the negative sides are ignored...for instance, detecting one large cockroach inside the wardrobe cabinet; noticing removable stains and debris still intact despite housekeeping; missing towel (no new replacement after wash)and the hotel encountering complete power cut-off for some period of time. Amazing stay. 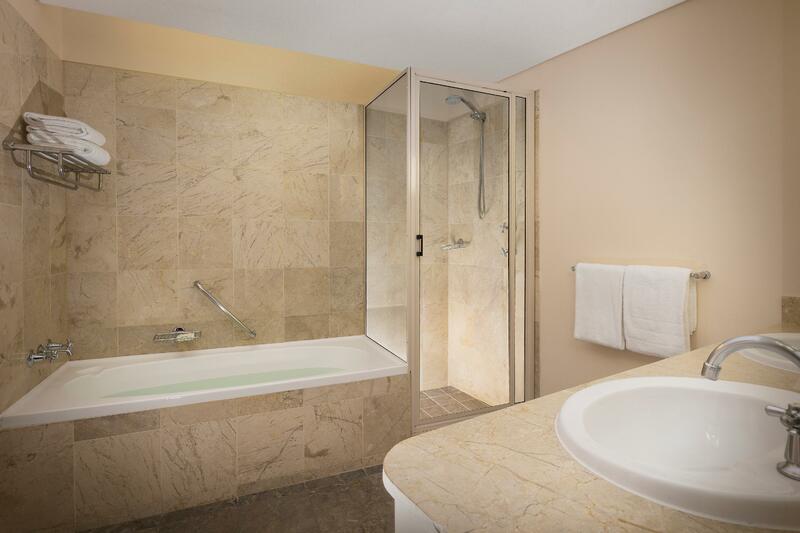 Location is superb convenient as the King Cross Station just located beneath the hotel. Easy access for us despite the weather, rain or shine. The room condition is at their tip-top condition, staff is friendly and it's at close proximity of plenty food choices. From when we walked in the door greeted a welcoming and efficient front desk to when we left for the airport I was very impressed. 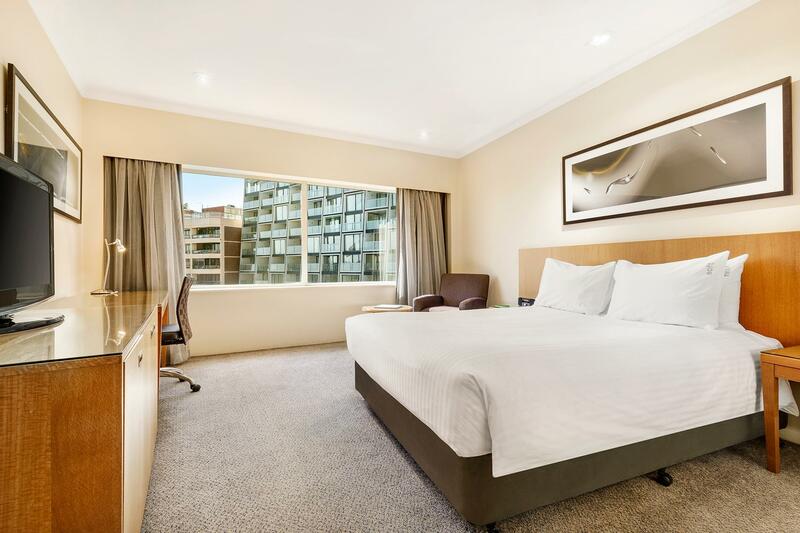 The Harbour View king bed rooms are very comfortable and clean with a great view and the commotion of the busy streets of King Cross on a Friday and Saturday night seem a world away. I look forward to staying here again and again. The view was incredible! The room was large with a comfortable bed and pillows and enormous bathroom and shower. We were expecting budget accommodation but were blown away with the quality of the hotel. The room and bathroom were bigger than expected. Everything was clean. Bed was comfortable with quality sheets and pillows. The stand out was the view! We were on the 8th floor facing the harbour. Would stay here again. 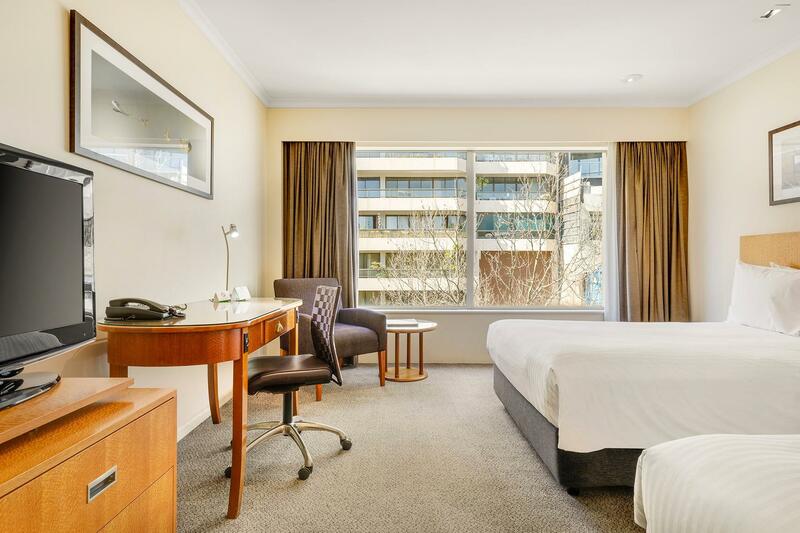 Our trip was to visit a sick relative so this hotel is close to the hospital, convenient to access from interstate, has undercover parking and is close to the rest of Sydney's attractions. The only drawbacks were that the breakfast egg station closes before breakfast ends and the bed was a bit bouncy. Apart from that - all good!